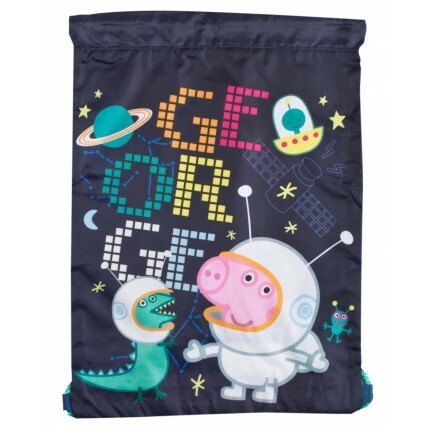 This official George Pig drawstring bag is made from strong, high quality material. 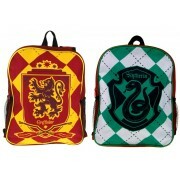 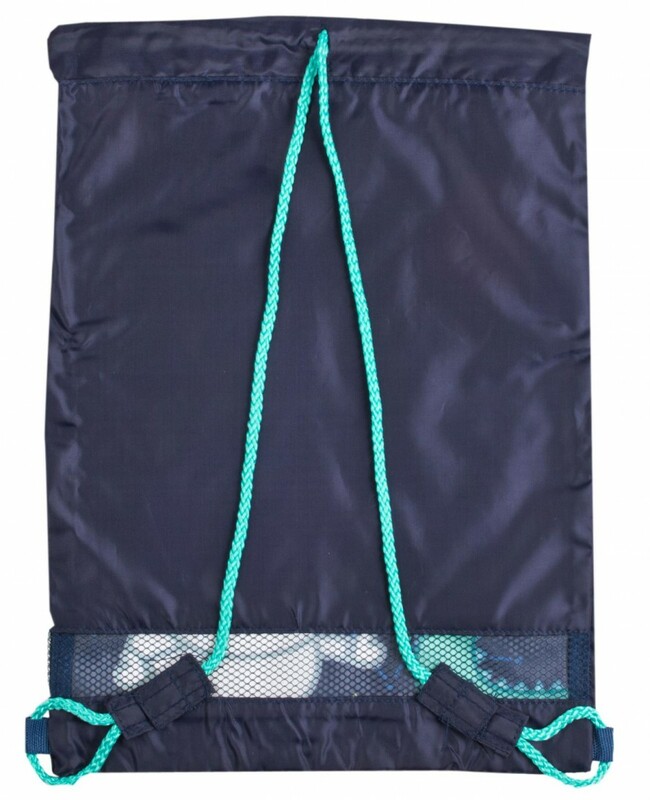 Featureing two sturdy drawstring handles that are also used to open and close the bag. 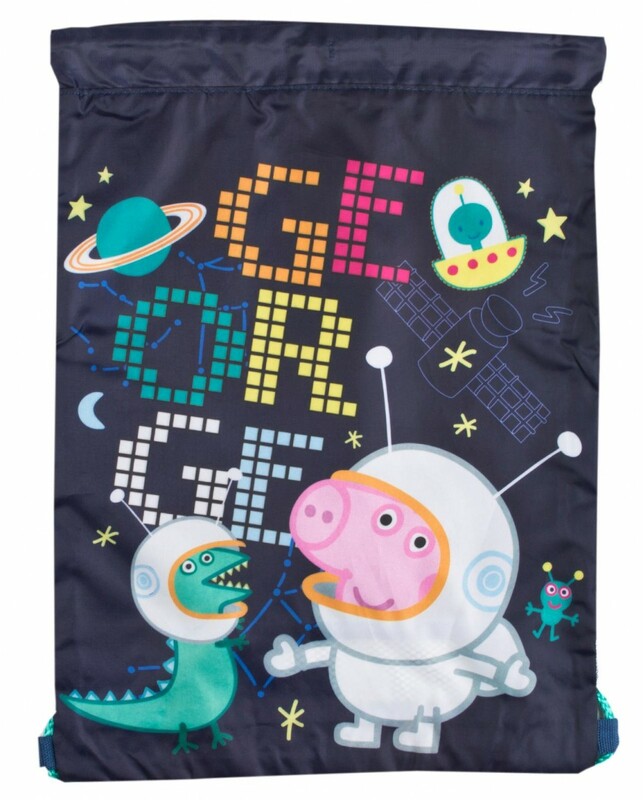 The bag is designed with a cute image of Geroge Pig from the popular childrens series Peppa Pig with his best dinosaur friend on a space themed background. 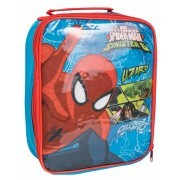 A perfect buy for any George Pig fan.